Splurging on duty-free purchases isn't always worth it. NO INTERNATIONAL trip is complete without a good browse through the duty-free shop. We've always been under the impression these discount havens, stocked with items exempt from certain taxes and duties, are as good as anywhere to snag a bargain. 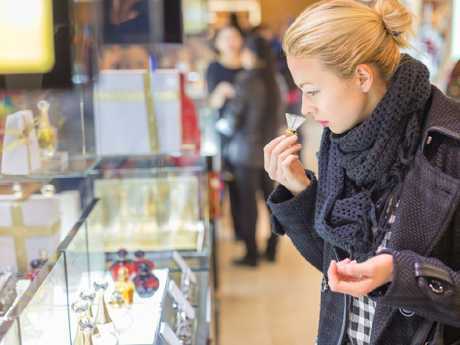 Not only are many duty-free prices comparable to what you'll find in local retailers, in some cases they're marked up an insane amount, research from finder.com.au reveals. 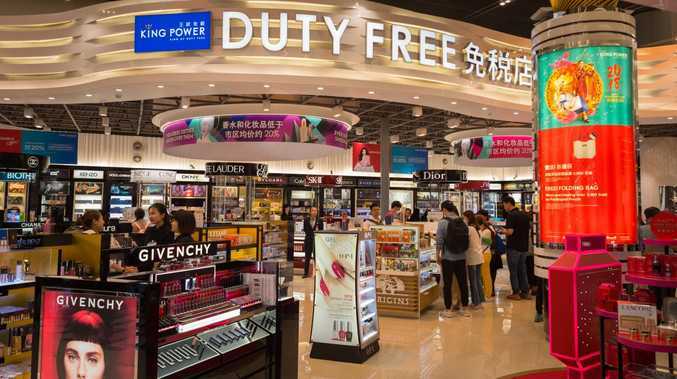 The comparison site looked at current prices of popular duty-free purchases, from alcohol to cosmetics, to find out which purchases are smart and which are ripping you off. 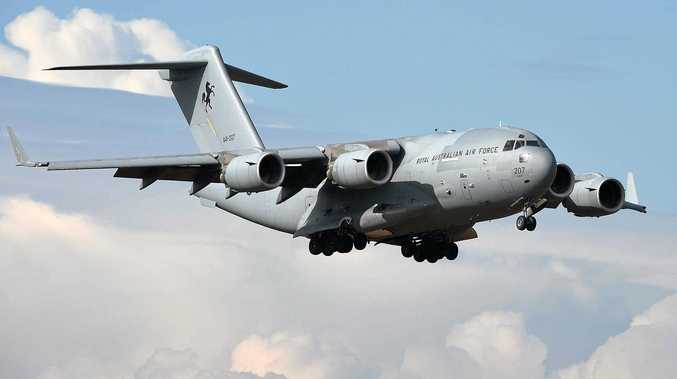 If you've got something specific in mind, it's always a good idea to compare prices before you head to the airport, finder.com.au's editor-in-chief and travel expert Angus Kidman said. "The secret to saving with duty free is prior preparation," he said. Duty-free shopping is sometimes a fool’s game. "Do your research online before your trip. Make a list of everything you want to buy and what it costs. Compare retailers online so you know what will and won't be worth buying at the airport. "Depending on your destination, the items may even be cheaper at the other end." Wine: You'll find bargains on some alcoholic products and be severely overcharged on others. And one of the ones to avoid is wine - depending on the variety. Finder.com.au found there may be a small discount of 4 per cent off the usual price for red wine, but white wine tended to be more expensive duty free. Champagne, though, is where you can save a bit, up to 6 per cent. For example, according to current prices, a 750ml bottle of Henschke Giles pinot noir (a red wine) is $49.50 duty free and $51.50 retail. That's a saving of just $2. But a 750ml bottle of Penfolds Bin 51 Eden Valley riesling (a white wine) is $30 duty free and only $27.50 retail. 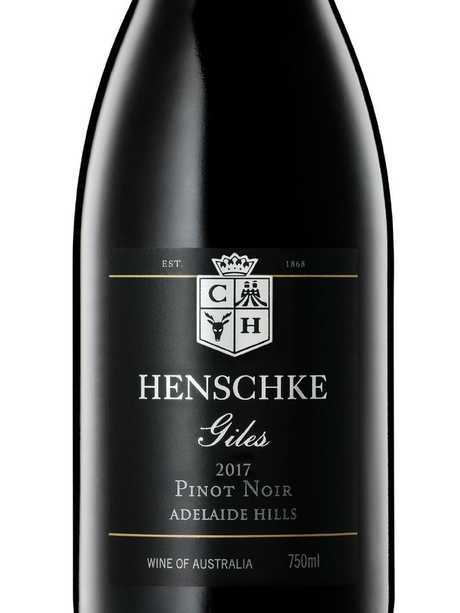 Henschke Giles pinot noir: tiny saving. 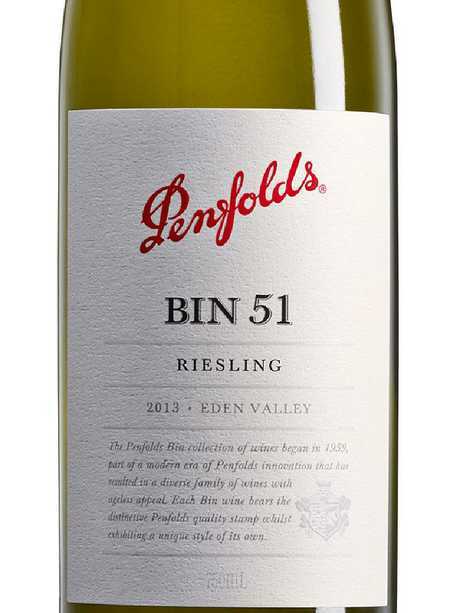 Penfolds Bin 51 riesling: you’ll pay more. All in all, wine's probably one to skip, especially when you factor in the hassle of travelling with the heavy glass bottles. "It's easy to be blindsided by minor discounts at the airport when you're in holiday mode," Mr Kidman said. "Buying a bottle of wine duty free may save you a couple of dollars, but you're better off buying from your local bottle shop and packing carefully in your suitcase. "Lugging around bagfuls of grog can also be a nuisance, and you can also risk losing the lot in transit due to liquid restrictions at other airports." Confectionary: Jumbo-sized chocolates and other confectionary are popular last-minute go-tos for flyers who promised to bring home souvenirs for their mates and forgot - but they're also ridiculously overpriced. Finder.com.au says confectionary is marked up by as much as 150 per cent at the airport, so you'd probably be able to raid the expensive hotel mini-fridge and still not pay as much. Did you even go overseas if you didn’t come back from the airport with a giant Toblerone? 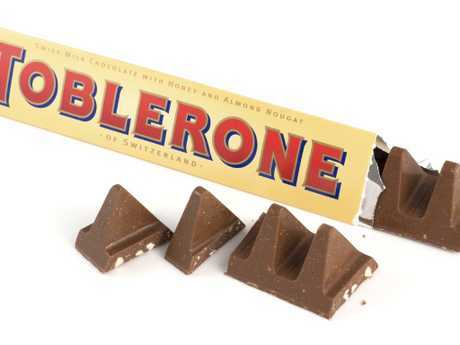 A 360g Toblerone Gold is going for $17 duty free but only $10 retail - a mark-up of 65 per cent. A 200g packet of Tim Tams Double Coat is $7 duty free and only $3.08 retail - less than half the price. "Don't be tricked by 'value packs' or 'super savings' signs," Mr Kidman said. "Plan ahead and pick up a packet for $2.50 at your local supermarket." Fragrances: Prices on fragrances can vary, so this is a good item to research first. Prices for Hugo Boss Man Eau de Toilette (75ml) are similar across the board, with a difference of 50c between duty free and retail. Fragrances are a hit and miss. But there are savings to be made on Flora by Gucci Gorgeous Gardenia Eau de Toilette (100 ml), which is $107.50 duty free and $145 retail. That's a saving of $37.50, or 26 per cent. "Perfumes are hit and miss at duty free," Mr Kidman said. "Unless you're after a new release, you're better off buying from a discount chemist." Spirits: While wine probably isn't worth your effort, spirits, including vodka, gin and whiskey, are. A 1.125 litre bottle of Johnnie Walker Red is $35.50 duty free and $60.48 retail, a difference of $25 or 41 per cent. Just as good, a 1 litre bottle of Absolut Vodka 40 per cent is $35 duty free and $55.98 retail, a saving of $21 or 37 per cent. 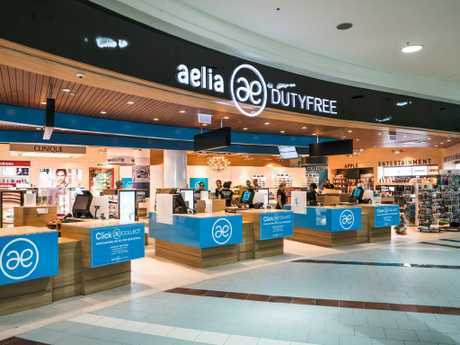 Cosmetics: Beauty fans, listen up - it's worth saving your shopping for the airport. Finder.com.au found cosmetics, from lipsticks to eye creams, offered pretty good discounts duty free. 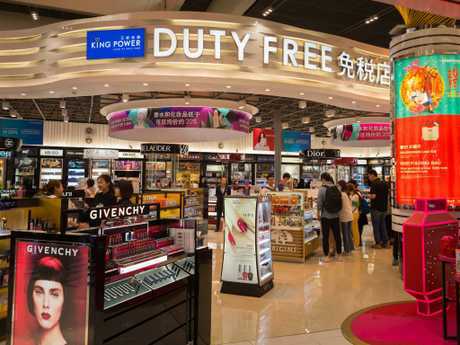 Duty-free shoppers can save on make-up and skin care. Clinique's All About Eyes Rich Eye Care (15ml) is $47.50 duty free and $58 retail - a saving of $10.50. Estée Lauder's Nightwear Night Detox Creme (50ml) is $66.50 duty free and $89.75 retail - a saving of $23.25. And Urban Decay Vice Lipstick is $27.50 duty free and $31.48 retail, saving you $3.90. Cigarettes: For smokers who absolutely have to stock up - we're not encouraging it - it's worth going duty free. A 25 pack of Marlboro Gold is $16 duty free and $41 retail - a saving of 61 per cent. Remember, though, you're limited to what you can buy: Tobacco purchases are limited to 25g at Australian duty-free outlets. Outside the duty-free store, airport prices are consistently bumped up. Last year, a traveller spotted a bottle of Pump water with a $9.17 price tag at Sydney Airport, which sparked a flurry of discussion about overpriced airport goods. Some of the most outrageous prices spotted by news.com.au included $6.99 for a packet of M&Ms, $17 for a simple roast beef sandwich, $7.95 for a toothbrush, $20.49 for a 75g tub of Paw Paw cream and an unacceptable $12.50 for a schooner of beer.